Little John (Grandson) and Mazelee's (Great Grand Daughter) birthday's are this week. I made their cards over the weekend so I could mail them today. I ran out of time or I would have added more flowers to the basket, but Mazelee won't even notice. The flowers were fun to make. My niece Cathy and her hubby Brad came for the weekend and we had such a nice time. Cathy and I crafted and Brad and John worked on a project in his garage. (I call it the toy room). Brad also helped me work on a project that I hope to have ready to show you soon. Thanks so much for stopping by today and visiting with me. I appreciate all your nice commets and emails. Wonderful cards Joan. I think the basket is perfect. Sometimes less is more. Looking forward to seeing your new project! Have a wonderful week! Just love the new baskets and you did a great job with this one. I have 5 grand daughters (no g-sons) so I appreciate the inspiration. 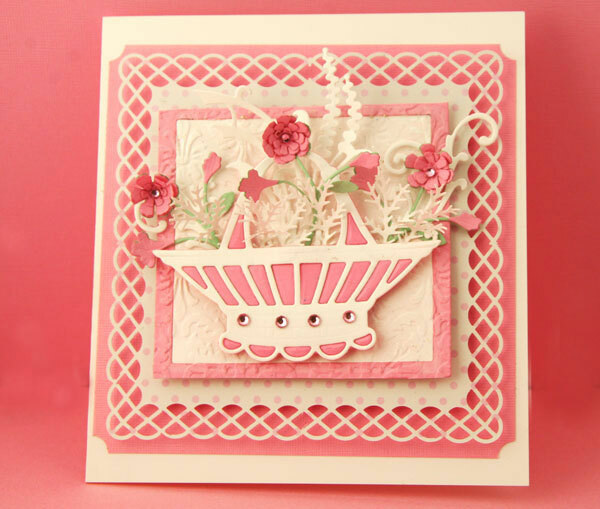 Basket card is so pretty but not over-done! Gaphic 45 card is sharp with c/s color choices then softened with window & picture inside. I'm sure both will love their cards~ I do! WOW! Both cards are fabulous! You & Selma have so much of the same style ... it's hard to tell whose cards are whose these days! I'm sure the kids LOVED them! How fun that you & Cathy had some crafting time together! Please tell her I said hello and look forward to seeing her next month. Have a wonderful week and thanks for sharing these beautiful creations!! These are wonderful and very pretty! Great job! Oh wow Joan! Both your birthday cards are wonderful!!! I'm sure the kids will just love them! 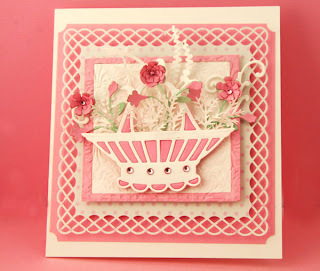 love the basket and I think you have just the right number of flowers! Both are great, I love the girl one with the basket, gorgeous!! 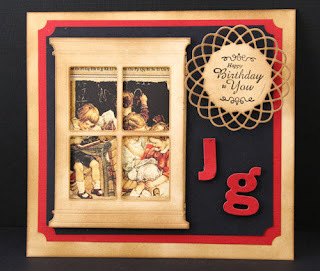 your cards are eonderful Joan. thanks for shring. hugs. Beautiful cards. I love the basket of flowers. The grandchildren will love it cause you made it for them.